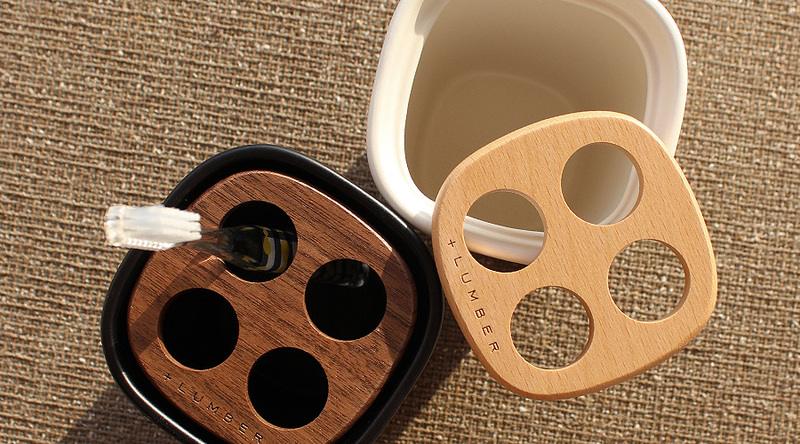 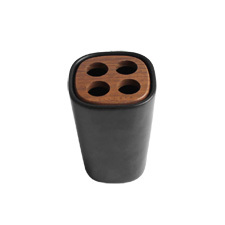 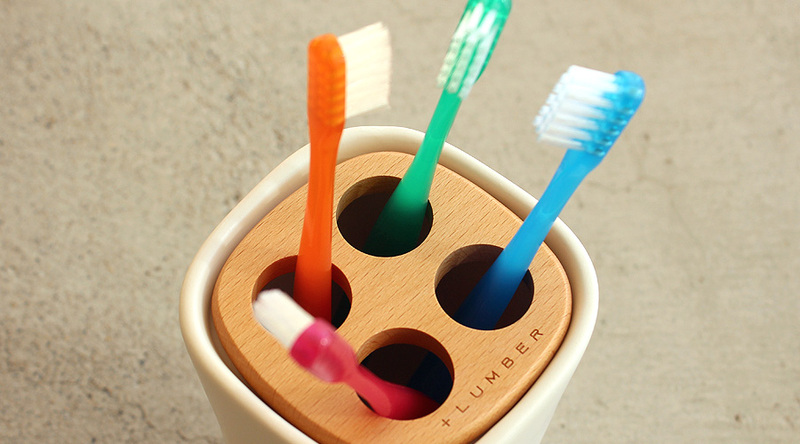 Ceramic holder that sets the wood apart. 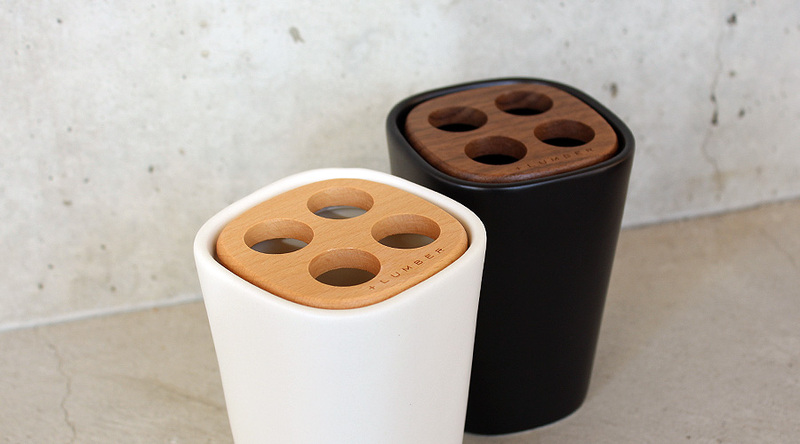 In combination with monotone stoneware, texture of wood gives modern appearance a refined feeling. 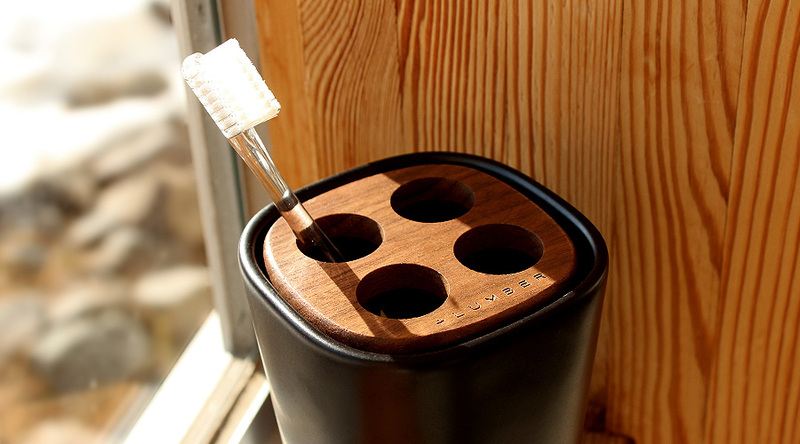 It adds a luxurious hotel style to your bathroom.